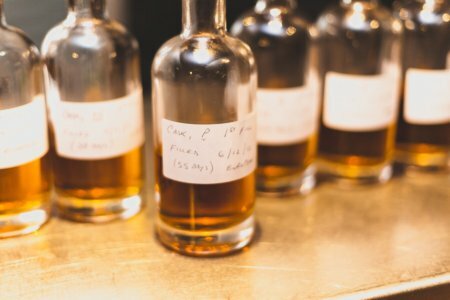 I was invited to join the tasting panel for an unofficial, off-brand, barrel aged Rusty Nail experiment run by Drambuie Brand Ambassador Bruce Hamilton. The Rusty Nails were each aged for 55 days in first fill casks seasoned with one of; cabernet sauvignon, Drambuie 15 base whisky, port, bourbon, rum, and sherry. As well as this the Rusty Nails were twisted a little with Gancia Rosso, Cherry Marnier, and orange bitters. After enduring the kind of severe soaking that only the unpredictable Edinburgh winter can provide I was primed for a warming winter beverage, or seven. To welcome us and refresh our memories we were treated to an original Rusty Nail made according to Bruce’s recipe, packed full of liquorice, cloves, and blood orange flavours with a pleasantly warming boozy burn. From here the tasting was to proceed in silence to avoid collusion with each of the panel making their own notes to compare at the end. As well as this we were to guess the seasoning of the cask in order to avoid forming opinions before tasting. Turned out to be – Cabernet Sauvignon. Aroma – slight bitter coffee tang. Taste – toffee apple, aniseed burn developing into a moist grassiness. Overall – the strong syrupy texture of this edition worked to mask a lot of the spice one would expect in a rusty nail. I was pretty taken aback to discover this was Cab Sauv aged, no real colour change from the original Rusty Nail, and there were no real Cab Sauv characteristics at all. Turned out to be – Drambuie 15 base whisky. Aroma – this had a really peculiar damp nose, a little bit like a wet dog, with very little burn. Taste – initial hit of candyfloss is brushed aside by a brisk jab of whisky that settles to present a mouth numbing finish of cloves. 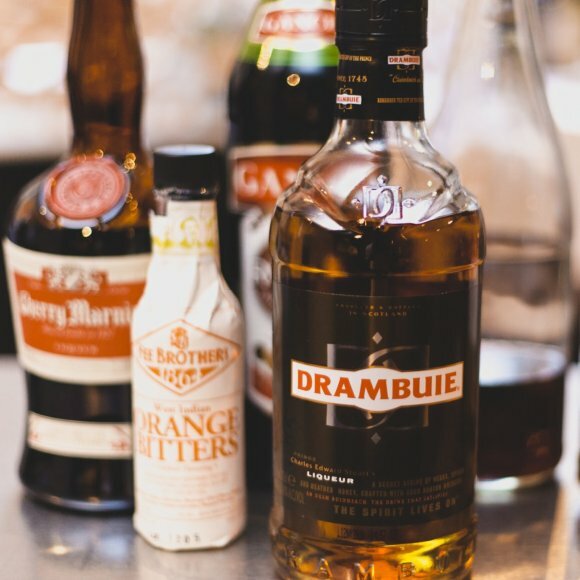 Overall – the ageing of this nail seems to have toned down a fair bit of the sweetness and accentuated some of the subtle spices present in Drambuie. Turned out to be – port. Aroma – straw, apple peel, and a twist of orange zest. Taste – cherry is heavily prominent and gives way to a nice warming tickle. The finish is long lasting and coats the palate. Overall – I can’t really believe how incredibly far out I was with my initial guess, it looks like a good reason to drink more sherry. This finish is pretty reminiscent of Drambuie 15 and completely masks any oak flavours. Turned out to be – bourbon (finally, I get something right). Aroma – a peachy note soon gets washed away by a really bizarre and unpleasant dampness which may be attributed to the wood. Taste – in honesty, even with copious water rinses my gums were rather numb after 5 rusty nails. That said I was able to establish that this was a particularly orange centred expression that managed to mask the whisky element quite well. Overall – due to my mouth being completely numb it was hard to discern much. The unpleasant dampness on the aroma spoiled this one. However it did have a nice presence and a mouth feel that managed to avoid syrupiness. My Guess – completely bamboozled. Turned out to be – rum. Aroma – chocolate makes a slight cameo, and I think somewhere at the very back of this aroma I can pick out tequila. Taste – of the entire range this finish was the best balanced, the inherent sweetness of the Drambuie got along famously with the tannic finish from the cask. Overall – I’m unsure what rum was used to season the cask but I can only assume it was a veritable wallflower as there really are very little rum characteristics present in this expression. Turned out to be – sherry, perhaps my palate works after all. Aroma – the aroma gave away very little. In short, this smelled quite a lot like a rusty nail. Taste – darkest liquorice, aniseed makes a notable appearance leading to an overall finish of vanilla sugar. The battle between the orange bitters and Cherry Marnier ends in a beautifully balanced tie. Overall – this was arguably the nicest of the 6 cask expressions, hitting the rusty nail on the head in terms of mouth feel and bitter/sweet/booze balance. On balance the cask aged Rusty Nail experiment highlighted the fact that the Rusty Nail is a far more complex beverage than its simple recipe suggests. It can be tinkered with to achieve a far more pleasant finish than the overly sweet and heady original recipe. However, I would suggest that some of the expressions could benefit from a lengthier maturation period, the Port and Cab Sauv finishes in particular requiring more time to impart their flavours. Although the entire experiment was ‘off-brand’ it’s heartening to see brands experimenting with new ways to present their product that take more than just adding a slightly different ingredient to tweak the flavour. With the rising trend for barrel aging experiments going on in bars and at home, propagated by cheap low volume barrels like those sold by Master of Malt, it would seem that 2013 will prove to be a year where bartenders playing the long game will be richly rewarded. 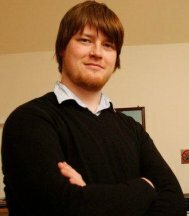 This entry was posted	on Friday, February 22nd, 2013 at 12:02 am	and is filed under Reviews. You can follow any responses to this entry through the RSS 2.0 feed. Responses are currently closed, but you can trackback from your own site.